Magic Farm is rated 4.6 out of 5 by 14. Rated 5 out of 5 by trixiebp from Pleasant surprise When I first read the description I thought it sounded like it was made for a little girl. I was puzzled why all the reviews did not match what I had expected so I decided to try it. It really is addicting with just the right amount of difficulty to be challenging but not frustrating. Loved the game and would definitely recommend it. Wish it was longer though. Rated 5 out of 5 by pattik63 from Great game I love the usual time management but this one was a little different. 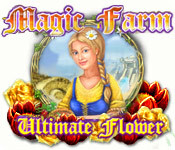 Like most of the farm games you had a limited amount of time to gather flowers. It was challenging but yet very playable. Beautiful graphics. This is one I have played more than once. Rated 5 out of 5 by ozziebasia from BLOOMING WONDERFUL LOVE IT! LOVE IT! This game is such a joy to play and I just can't stop. Love everything about it, and the change from "building and clearing roads" is great. When I finally figured out how to make the bouquets I played with a vengeance. Flowers are so beautiful so to have a game based around them is wonderful. I hope that there are more to come, it is fun the storyline is good and characters are great. Personally in "the real world" don't like gardening but love the finished product, flowers and fruit etc. This game is truly a breath of fresh air that anyone regardless of their expertise at gaming can play and so I'm off to play some more. Try it, it is just beautiful AND FUN ! Rated 5 out of 5 by elwilgo from Fun! This is a goodie, surprised that more folks have not played/reviewed this one. Like others here, I really enjoyed the flower-growing theme. Buying plants, baskets and water, selling bouquets if you're lucky, individual flowers if you can't make a bouquet from your day's growing. 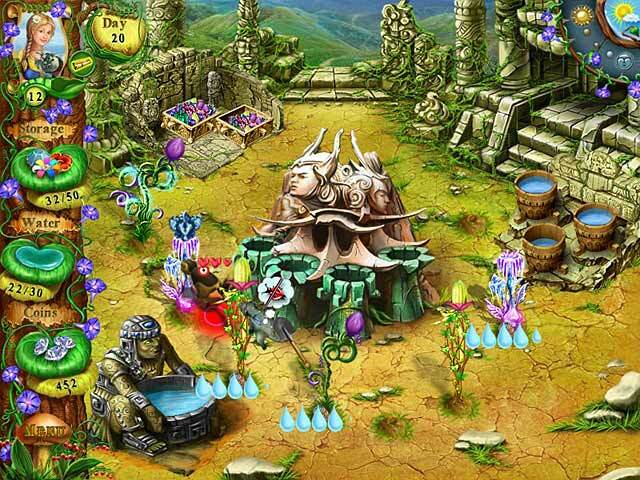 There are quests involved which, when completed, unlock your next farm to grow even more flowers of different types. A tycoon type game which also involves time management. 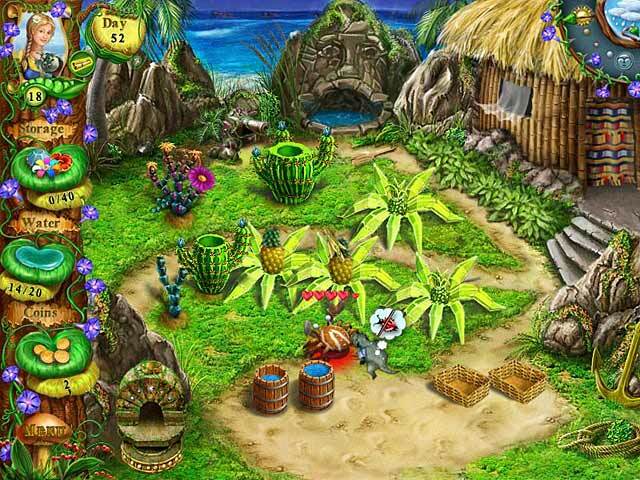 And although your days earnings somewhat depend upon the speed at which you can pick and water your flowers, you can still move forward on your quests at a slower rate even when not clicking quickly. There are pests to kill, and a little dragon that helps you with your tasks. Very cute and enjoyable. Rated 5 out of 5 by changespell from Loved it! I loved this game! I usually don't like games like this but gathering the flowers, waiting for them to upgrade and then creating bouquets was really fun! The quests gave a reason to continue, and some of the quests after the game were 'finished' were really challenging with large amounts of gold, which made the game take longer (but you didn't have to do those if you didn't want to), but I did just to see what the characters said. I also liked the main character and her interactions with the others--especially the pirate! Rated 5 out of 5 by NeedfulThings from The best of them all! This one is the best of all 3 of this series! Especially the last chapter drove me nuts because it was so challenging. Just loved it. Graphic was great. 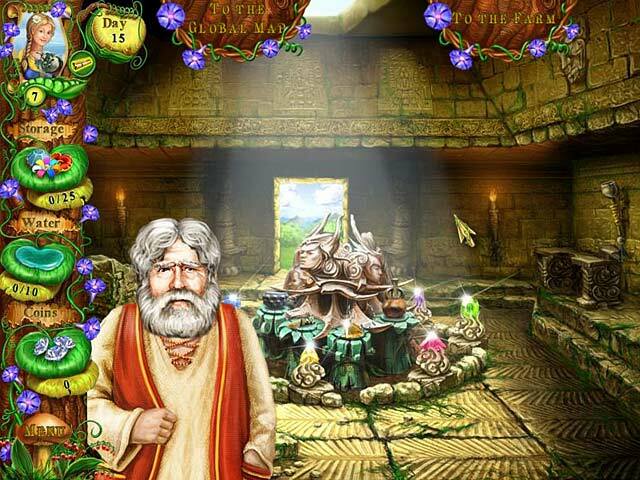 Rated 5 out of 5 by wington2003 from Great game :) This game was very cute! I loved it! The actual challenge (her finding her parents) was a bit short but it does carry on til you can get all the trophies which was great.